Service and maintenance specialist CP Automation has announced that it will be improving its product offering for the elevation, crane and OCH industries by adding Cressall Resistor’s HP and ES series braking resistors to its portfolio. The relationship with Cressall is now well established and compliments CP Automation’s range of independent supply relationships with manufacturers of inverters, PLCs and other electronic equipment and control systems. 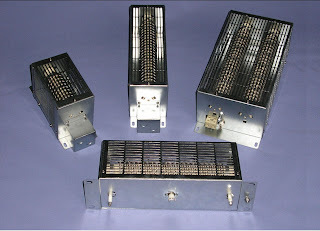 First in CP Automation’s range is Cressall Resistors’ HP series of high performance dynamic braking resistors (DBRs). The new range is ideal for use on cranes, winches, conveyors and test loads as well as on lifts and elevators. These compact, ready boxed DBRs are enclosed to IP20 and make virtually no noise when subject to inverter braking currents. Their low inductance open-wound element construction allows high power-dissipation in a small space. It is these two factors that make the HP series ideal for use in lifts and elevators where noise and heat dissipation are both significant issues. When used with an inverter, the units are suitable for use with any make of drive. The range is divided into HP1, HP2 and HP3 units, which have continuous power ratings of 1.5kW, 3.0kW and 4.5kW respectively. The continuous power ratings can be exceeded when power is applied for less than 100% of the time and the extent to which this can be done is calculated using a simple equation. Also available is Cressall Resistors’ rang of low noise ES braking resistors, which has recently been expanded with the addition of 1.0 and 2.0kW sized models. These new ratings complement the existing array, which includes 0.6, 1.5, 3.0 and 4.5kW versions with resistance values from 3.9Ω to 330Ω. The new 1.0 and 2.0 kW sizes are used where there is the need to cope with high levels of regenerated energy in a compact space. This includes motor control on elevators, VSD control and use on conveyors, cranes and winches as well as test loads. Like the HP series, these robust IP20 rated units produce negligible audible noise.